The Yampa Valley Regional Airport (HDN) master plan process kicked off on July 10, 2013 and will result in a 20-year plan outlining the needs of current and future users of the Airport. This process is important for ensuring that safe and orderly development can occur at HDN that is consistent with the goals and values of the community. 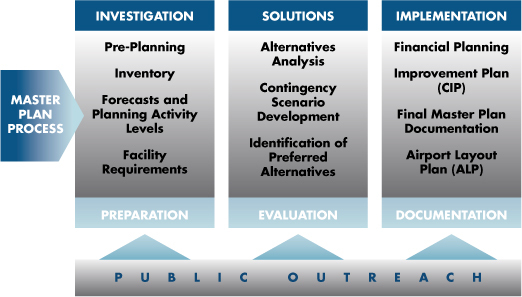 It will determine what facilities are needed, when they will be needed, and how much they will cost. There are no predetermined outcomes, meaning the plan will be based on current conditions, community input and forecasts. Input and feedback is invaluable to process. Outreach to airport users, tenants, air carriers, neighbors, business owners, neighboring jurisdictions, and the general public will occur throughout the project. The plan is developed through a purposeful, inclusive and educational process.